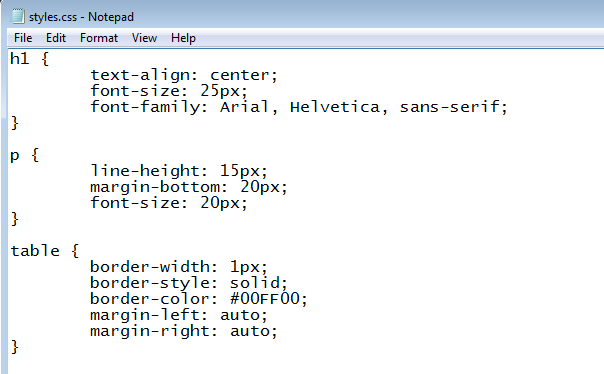 In this sixth part of our CSS guide, we are going to explore how to style our tables. It’s great to have our thoughts organized, let’s do this in style! In the previous part of our guide, we discussed how to add style to our lists. In this part, we upgrade up to tables as the next step to organizing our thoughts and add some style accordingly. Well, it’s a table. Not a lot going for it at the moment. That’s OK though! We can spice things up! While we could add some widths to make the borders more visible, where’s the fun in that? 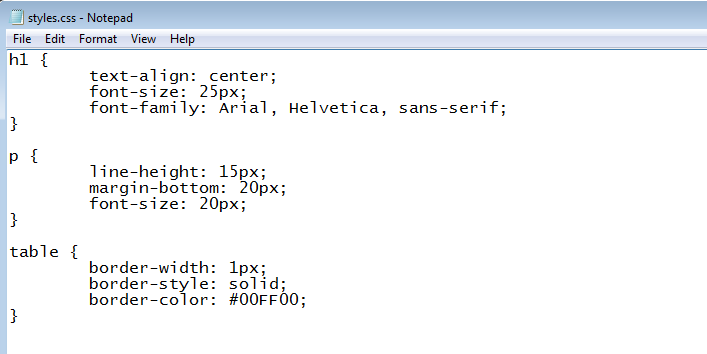 We can do all of this in CSS after all! Adding Style to Our Table! 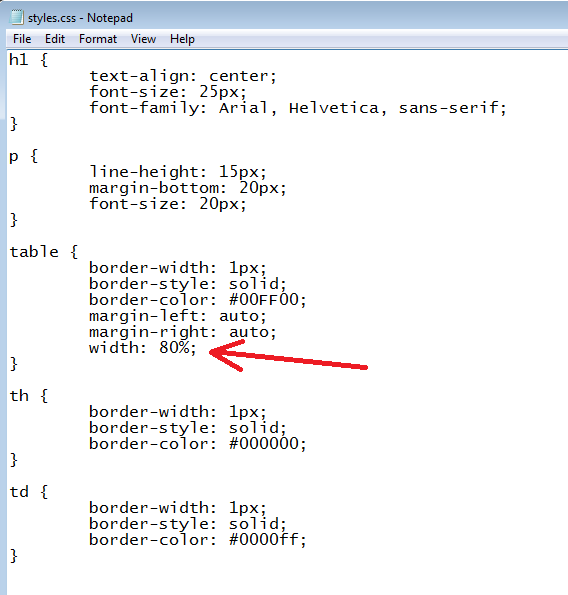 First, let’s add a border in our table with CSS. The first logical thing to start editing is the outside border. 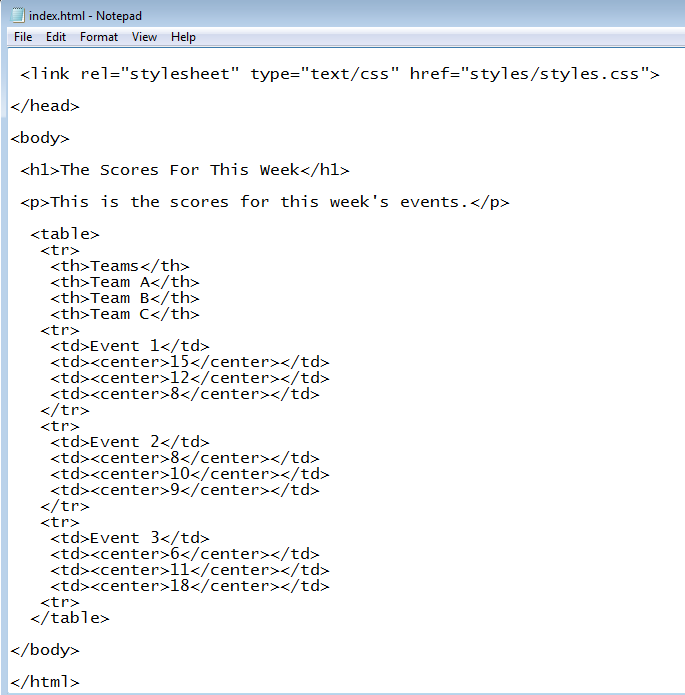 Luckily, that is easy because all we have to do is add a CSS rule for just the table. 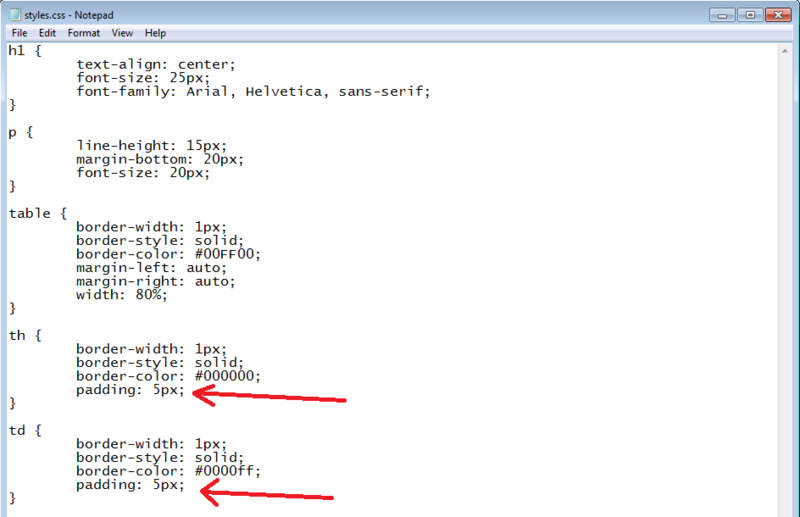 Generally for tables, we need three rules: width, style, and color. Not all of them are required, but adding some style to all three can certainly prove useful in seeing the effects of your changes. OK, now we’re getting somewhere! 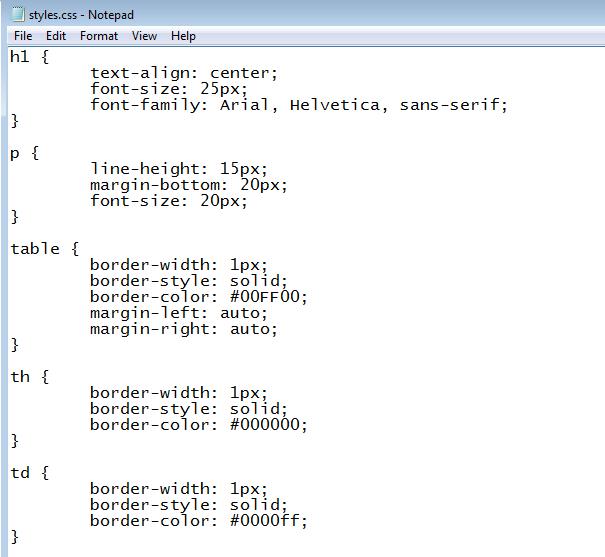 Now, one thing to note is that solid isn’t your only option for a border style. Check out this resource for a list of all the possible borders you can put into your table. Nice! The excellent part about this is the fact that no matter how you resize the window, the table will always remain in the middle! That’s pretty nifty! Naturally, regardless of the size of the window, it will always take up 80% of the screen. That’s not bad! Of course, with all the knowledge you’ve gained up to this point, you can really make a customized table if you really want. Remember, if you are going to affect an individual side (such as colour), remember to add the -(direction) to the end of the CSS rule. Go nuts! That’s it! That’s styling tables in a nutshell. Way to go!